Upon Fair Isle, the garnet-eyed, silver-haired, pale-skinned, twelve-fingered T’En have nearly become a thing of legend, as years of intermarriage have made the race of conquerors nearly identical to their human subjects. But even so, T’En blooded nobles still rule the land, and, occasionally, that blood will show, resulting in a pure blooded “throwback”, causing a disruption of the tranquility as the specter of the violent past rears its ugly head. Imoshen is one of these blessed (and cursed) individuals. For most of her life, Imoshen’s family has sheltered her from the revulsion and novelty that her condition causes among the nobility, but as dutiful adherents of the laws, they have taught her that as a “throwback” she must devote her life to one of service, abandoning any selfish desires for a family of her own. (Throwbacks are forbidden to marry or sire offspring.) And until recently, Imoshen accepted her fate in silence, but then her path crossed the only male throwback upon Fair Isle. To say Imoshen and Roethe have sexual chemistry when they meet would be too mild a term for it. For once they are together the magic inherit within them ignites, drawing one to the other. Each touch of the other’s hand is lightning; each kiss is ecstasy; and each caress is pure nerve-tingling erotica. Quickly, Imoshen and Roethe cast societal conventions aside, announcing their intentions to wed. A decision that the nobility find frightening and somewhat abhorrent. But before the two can begin their life together, the wrath of the gods falls upon Fair Isle. To the north, across the narrow seas, the Ghebite Empire has been spreading across the continent like a plague, engulfing each kingdom it touched. The barbaric horsemen too mighty for even coalitions of nations to hold back. And now – unlooked for – these conquerors have landed upon Fair Isle, intent on destroying the soulless “dhamfeer” as their religion labels the magical T’En. Armies are raised. Battles are fought. And Fair Isle begins to lose. All too soon, Imoshen finds herself the last of her family, Roethe’s fate unknown, beset with the legions of the famous General Tulkhan, the son of the Ghebite King and a mighty conqueror. And while every instinct within the young T’En screams for her to bar the gates to her small city, rally the remaining people and fight, the ancient T’En known as the “Aayel” – and Imoshen’s mentor – counsels something different: surrender! Not only of the city itself but of Imoshen to Tulkhan’s carnal desires to bed a pure blooded T’En. The Aayel warns that only by such a sacrifice can Imoshen save herself and all of Fair Isle! Pretty interesting story. At least, I thought it would be as I began, and overall, it delivered on that promise – with a few exceptions that is. But let’s start with the positives about The Fall of Fair Isle. As followers of Rowena Cory Daniells’ T’En novels already know, there is a lot of history and legend in the series. Not the general retreaded Tolkien fantasy or even the older Arthurian type that many fantasy aficionados are accustom to but something fresh yet still familiar. 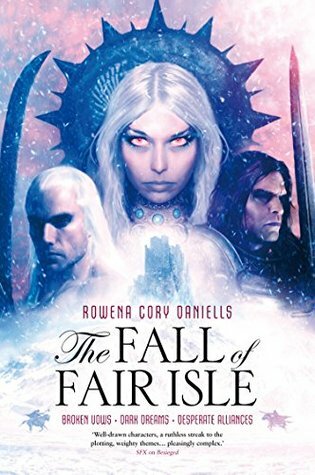 And in Fall, Daniells doesn’t make the mistake of unveiling her world in huge info dumps but deftly allows it to be revealed slowly and consistently as the story progresses, so that by the end many of a reader’s questions about Fair Isle and its T’En inhabitants have been answered without them even realizing it. But the strength of this novel is definitely the romantic love triangle. From the first chapter, the attraction, distrust, and political machinations between Imoshen and General Tulkhan are front and center. The constant shifting of the viewpoint from one to the other allowing a reader to experience each person’s feeling as their first violent meeting leads to an even more complex relationship later on. And while Roethe enters and exits the narrative quite frequently, his presence and pull on Imoshen’s emotions and decisions never totally ceases. So if romantic love triangles and all their wicked twists and turns is something that you adore, The Fall of Fair Isle will not disappoint. For all its interesting and compelling qualities, Fall did not entertain me as much as I would have liked, however. Mainly, this was due to my preconceptions of the novel. Perhaps I’ve read too many traditional grimdark fantasy series, but whatever the reason, I went into this novel expecting a great deal of combat, warfare, and intense political upheaval in the vein of Martin’s Song of Ice and Fire and instead found myself presented with a novel very light on the violence and warfare and heavy on the romance and emotional turmoil of the characters. A turn of events that was not necessarily bad but which did not meet my needs of the moment. So should you give this novel a try? It really depends upon your favorite type of fantasy faire. If that is grimdark or the violent variety of fantasy on the shelves, then The Fall of Fair Isle might not have what you are looking for. But if romantic fantasy is something you enjoy, then I’d recommend you pick this novel up. Rebellion Publishing and Netgalley provided this book to me for free in return for an honest review. The review above was not paid for or influenced in any way by any person, entity or organization, but is my own personal opinions. 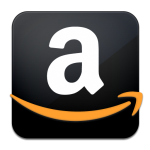 Buy The Fall of Fair Isle from Amazon. This entry was posted in 3 Stars, Fantasy, Romantic and tagged Fair Isle, Rebellion Publishing, Rowena Cory Daniells, T'En, The Chronicles of King Rolen's Kin, The Fall of Fair Isle, The Outcast Chronicles. Bookmark the permalink. As much as I enjoyed her King Rolen’s Kin novels, I haven’t had a chance to give this omnibus a read yet. I can see what you mean about not meeting your needs at the moment – I’m a bit surprised that it’s more romantic than violent, but I have to keep reminding myself it’s her first series getting a second chance at life.